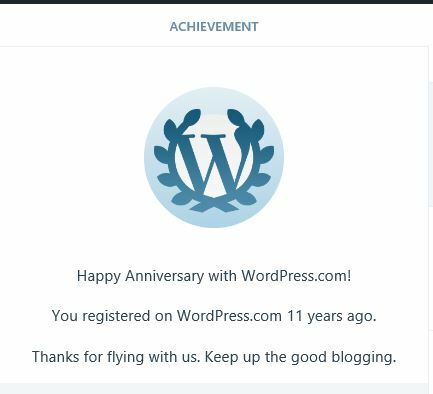 Wordpress Anniversary – 11 years. My first blog post was January 8th if I remember correctly. Then came an upgrade, lost all the posts and I almost called it quits out of spite. By purely by technical miracle (sheer luck), I managed to recover the text of the posts and got in the groove. Congrats! I struggle to write something twice a week and it has only been a little over a year. I read here often, thanks for letting me hang out.